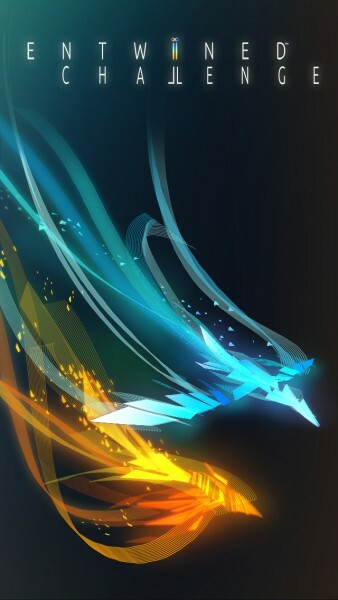 Entwined™ Challenge ($0.99) by PlayStation Mobile Inc. is an iOS version of the original Entwined that came out earlier this year for PlayStation 3, PlayStation 4, and PlayStation Vita. 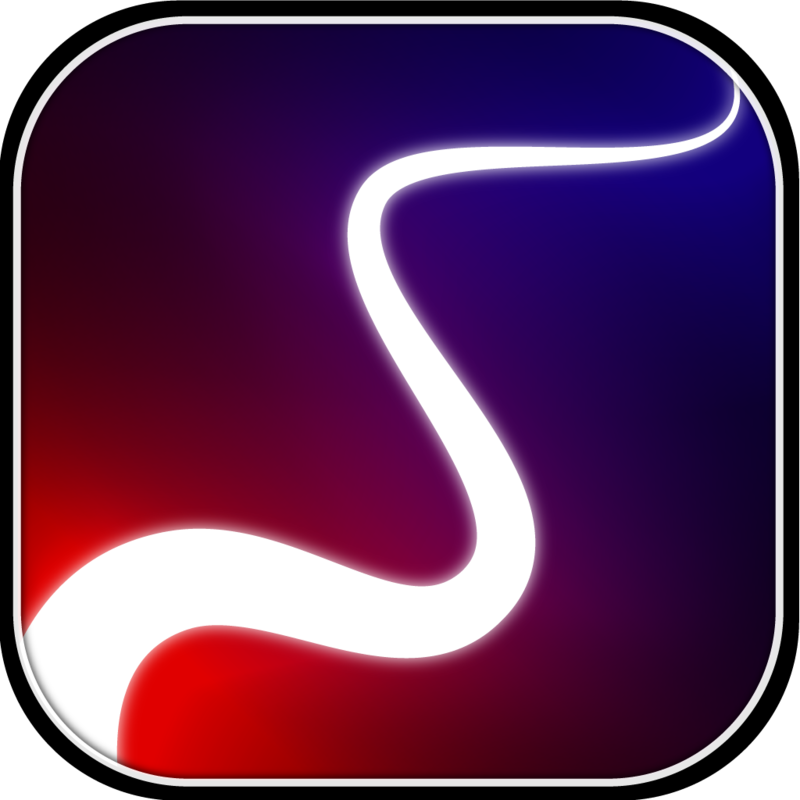 The game itself is an action endless runner that will test your reflexive skills and coordination. 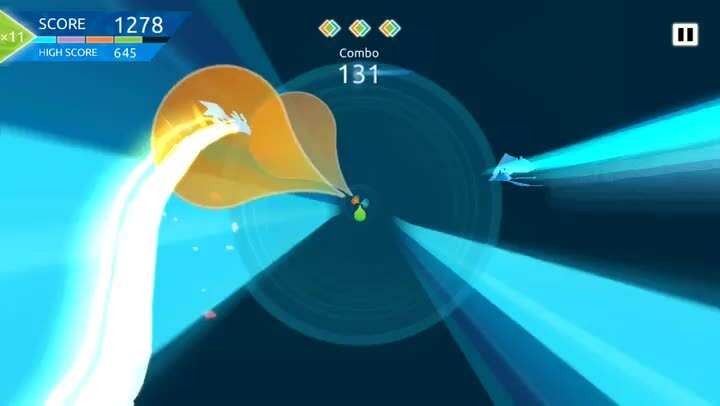 If you liked games such as Doppler and Duet Game, then Entwined Challenge deserves your attention. 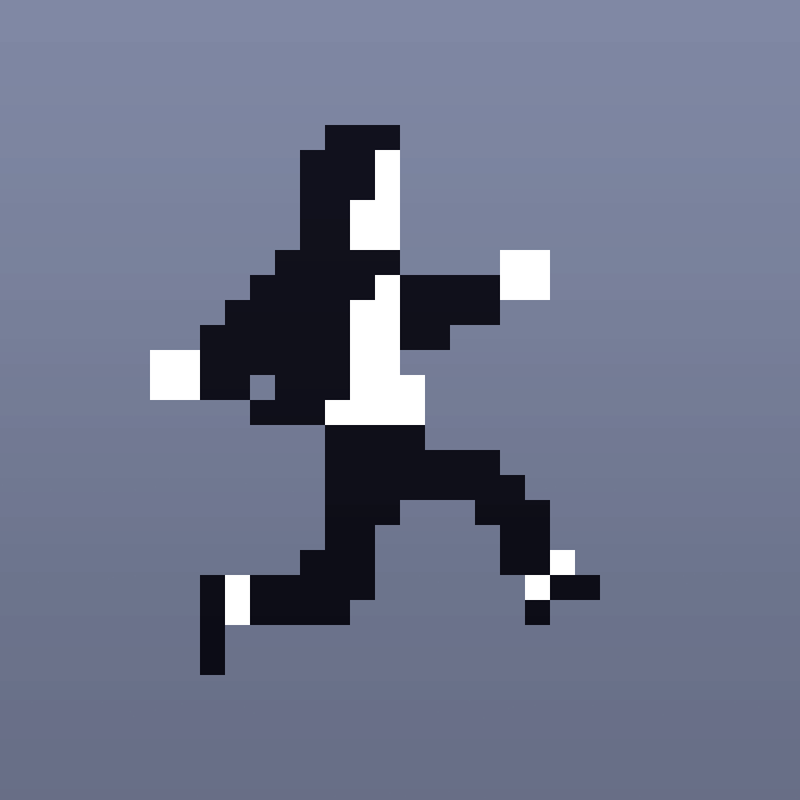 Ever since games like Canabalt came out several years ago, I’ve become addicted to the endless runner. But as time passed, while I still enjoy them, I found that most of them feel like the same thing, just re-skinned. So whenever a game that falls in this genre introduces a new gameplay mechanic, it piques my interest. 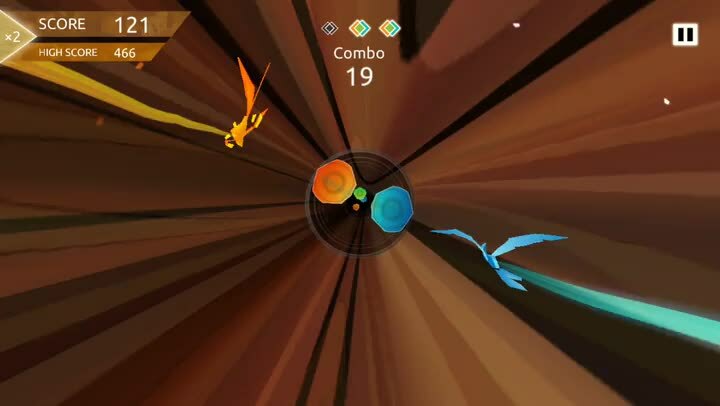 While I was perusing the App Store yesterday for new games to check out, I came across Entwined Challenge. 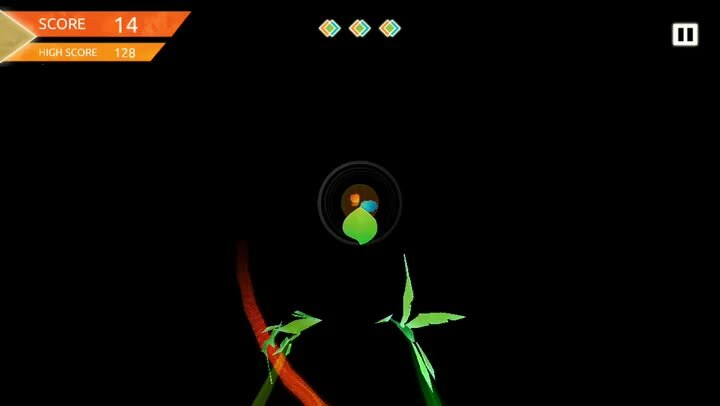 I recalled hearing about Entwined a few months ago and wished that it was available on iOS instead of just consoles — it looks like my wish came true, or at least part of it, anyway. The visuals in Entwined Challenge are stunningly gorgeous. I don’t have the latest consoles to compare the iOS version to, but the game looks beautiful on my iPhone 6. The colorful abstract style artwork is vibrant against the dark backgrounds, and everything runs smoothly so it looks fantastic on the Retina HD screen — I experienced no lag while playing. The atmospheric soundtrack from Sam Marshall is soothing, providing a zen-like experience as you play. The sounds that you hear throughout the game are also natural and tranquil. The story behind Entwined Challenge is pretty simple: there are two souls (a bird and a fish) who are in love and want to be together as one. When they’re reunited, they turn into a magnificent dragon. Your job in the game is to guide them along their path of evolution, and in order to do this, you need to control both souls at once. 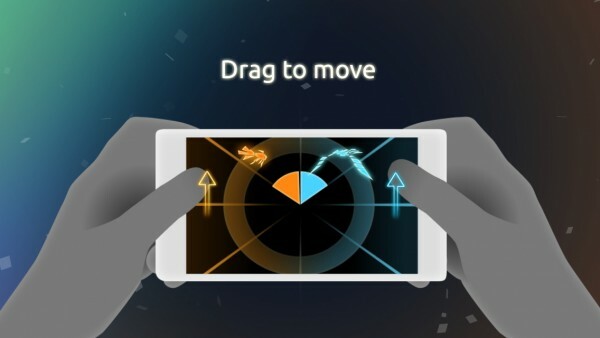 Entwined Challenge is a revamped version of the Challenge Mode from the console game, so even if you’ve played the original, the mobile version is different from what you know. There are five new, unique levels (of increasing difficulty) that you can play in this version, all of which are based on the Asian elements of water, wood, fire, earth, and metal. However, in the beginning, only Water is available — to get the rest, you have to meet the minimum point requirement from the previous one to unlock it. Water starts out pretty slow, but once you get the other levels, they go at a much faster pace, making it more challenging from the get-go. The controls in the game are straightforward and intuitive. You have the two souls occupying one half of the screen: orange fish on the left, blue bird on the right. To move them up and down along the tunnel-like stages, just slide your thumb vertically on either side of the device. I found the default sensitivity to work fine for me, but you can change it in the game options. Your score reflects how far you’ve gotten in the level, as you’d expect. However, to make things difficult, there will be colored barriers along the passage that each soul must pass through. If it’s green, that means both souls need to go through them together. A life is lost if you miss a fence, and once you’re out (you only get three), then the game ends. It starts out pretty easy with just one at a time, but it gets difficult when there are more than one and things move at a quicker pace. You get a score multiplier if you hit these bars in succession for a combo, so don’t miss a beat! As this is the perfect type of game for competing with your friends, there are online leaderboards, but only through Facebook. I’m a bit disappointed with this, as it’s easier to just use Game Center in my opinion. I hope that they can add that in the future, along with achievements. There is some extra content that you can unlock as you play, offering behind-the-scene looks at the original game. These include concept art and other images that are spectacular to look at. It’s not necessary, but it is a nice treat. 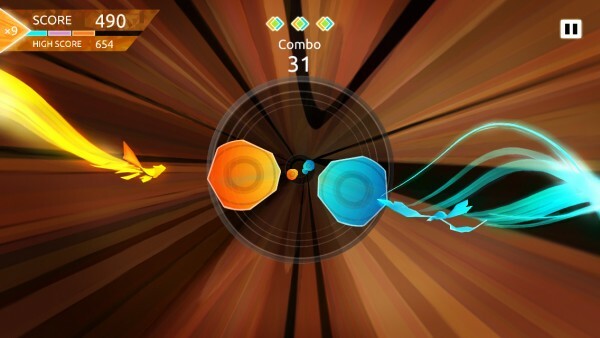 Despite the annoying Facebook-only social integration, I’m in love with Entwined Challenge. The art style is superb, the music is calming, and the controls are super responsive. 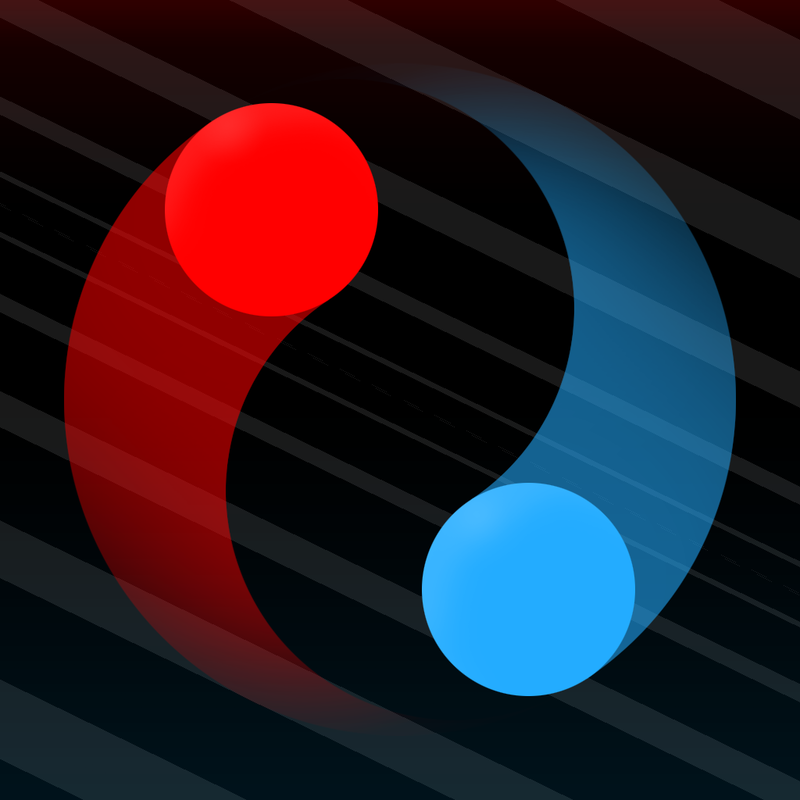 If you enjoy action reflex games with a dash of endless runner, then this game is worth a look. 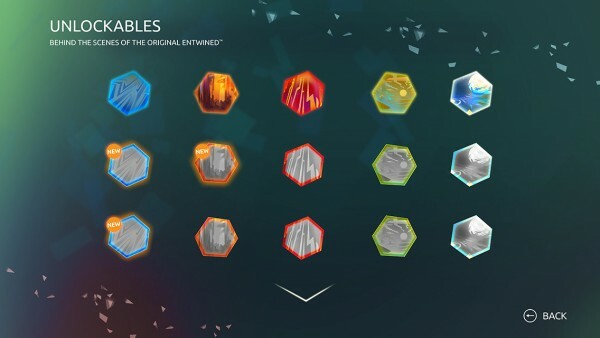 Even if you have played the original, Entwined Challenge offers plenty of extras for you to get your Entwined fix. 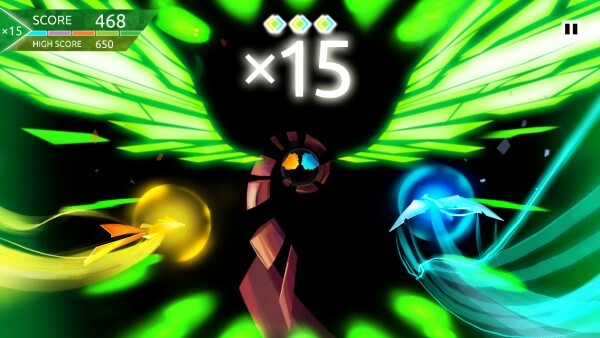 Entwined Challenge is on the App Store as a universal app for $0.99.